June 16, 2012. I think this is Curt’s – he’s much more adept at presentation than I am. 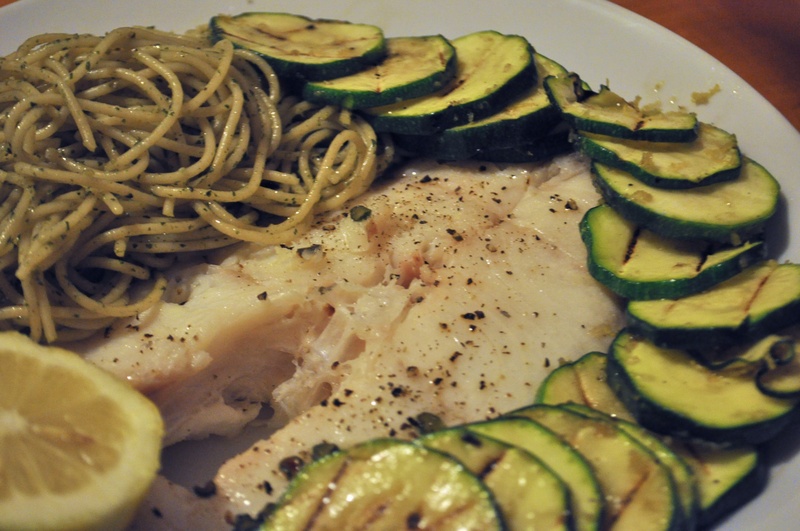 Blue snapper, grilled zucchini, and pesto spaghetti.